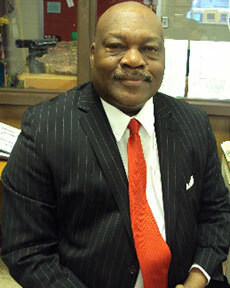 Glynn won election in November 1999 after his appointment in April 1999 to fill the seat of the late Cletus Edmonds. In his endeavor to work with his constituents, Glynn's focus is on neighborhood association empowerment, economic and business development, housing revitalization and new housing developments, public safety initiatives, and programs that focus on the youth giving them positive alternatives to deviant behavior. Glynn is married to Pamela Peterson-Hines. She retired from the National Kidney Foundation of Northeast Indiana. They have been married since January 1, 1983 and have two daughters Monique Hines-Smith and Dr. Candace Hines-Kotei. Monique blessed them with a grandson, Carlton and twin girls Maia and Nia. Candace has blessed them with two grandson Nikoi and Amon. Glynn also has two adult sons. Glynn’s educational background includes being a graduate of Central High School in Fort Wayne, B.S. degree with a double major in History and Speech & Drama from Manchester College, North Manchester, Indiana and graduate study at Temple University in Philadelphia, Pennsylvania. Glynn retired from Brightpoint in 2016, where he served as a Jobs for America's Graduates (JAG) Specialist teaching high school juniors and seniors workforce readiness and college preparation skills. Glynn was formerly employed by Bank One as Assistant Vice President in the Treasury Management department and with Xerox Corporation as Marketing Manager. His political career began in 1977 with then 1st District City Councilman John Nuckols. He worked as precinct committeeman in the 1st District. Glynn also served as campaign manager for 1st District Councilman Archie Lunsey in 1991. Since 1999 he has assisted with positive development in housing, infrastructure, and commercial/retail initiatives in excess of $100 million dollars. Glynn currently serves on the board of Citilink Public Transportation where he was instrumental in placing the “ROSA PARKS” seat on ever Citilink bus in Fort Wayne. Glynn also serves on the Fort Wayne Commission for the Social Status of African-American Males, which hosts the Annual Black Males Health Issue in April, the Fatherhood Back-to-School Initiative, and the Summer Music Celebration at McMillen Park. Glynn sponsored the creation of the Fort Wayne Public Art Commission who will be bringing public art into neighborhoods. Glynn is the Vice President of Council for the 2019 session and currently serves as City Council co-chair on the board's Public Works Committee.